Bourbon is very popular right now and to make bourbon you need to use new barrels. Soooo there's A LOT of used bourbon barrels out there. What do you do with them? You sell them for aging other products and they can slap "bourbon barrel aged" on their labels. Rum, scotch, beer...those all make sense. But wine? 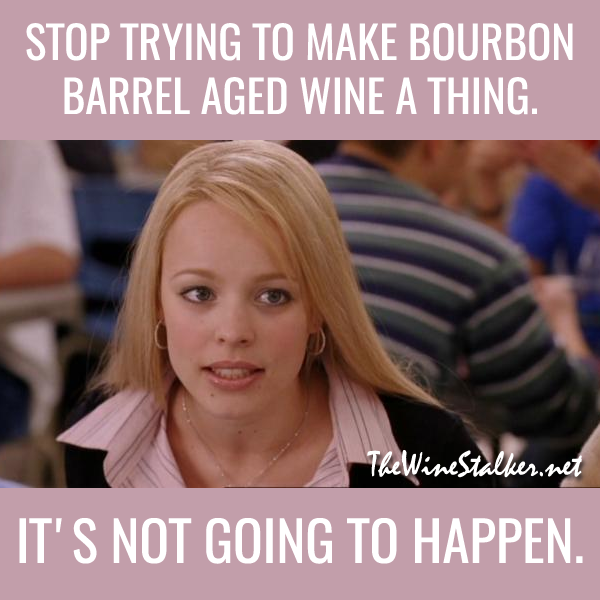 Bourbon barrel aged wine is GROSS. Just because you CAN do something doesn't mean you SHOULD do something.